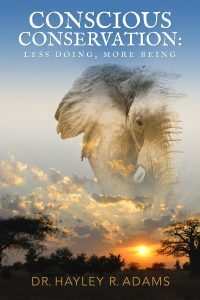 My first nonfiction book, Conscious Conservation: Less Doing, More Being, is available for purchase! Click on the book or the title to be directed to the Amazon store for purchase. Conscious Conservation is an antidote to the “doom & gloom” so pervasive in modern conservation! Are you ready to become a Conscious Conservationist? Read Conscious Conservation today and join the revolution!